This post is sponsored by Society Culinaria on behalf of Flatout Bread. All opinions are 100% my own. School here is starting next week and I know the kids are already looking forward to the first holiday. Me too for that matter. My Labor Day menu is already being planned. When the kids were here visiting me for my birthday, I told my niece we would go to this dessert bar for some fondue. Of course we got busy and ended up completely missing out on going for some sweets. Or a couple of other food places but that’s another story. So what’s a gal to do? I bought my own fondue pot and am making my own dessert bar fondue for us gals. I’m such a fan of Mexican chocolate. 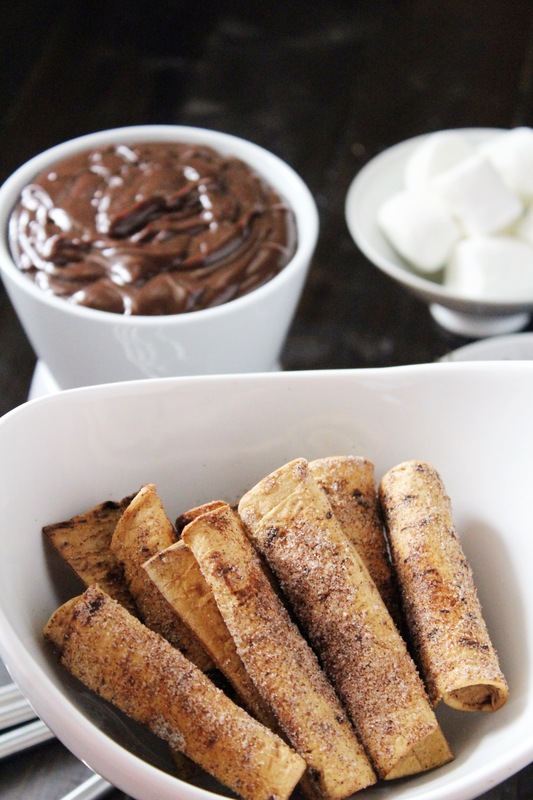 The flavor is just so rich and that cinnamon flavor adds a little extra kick. 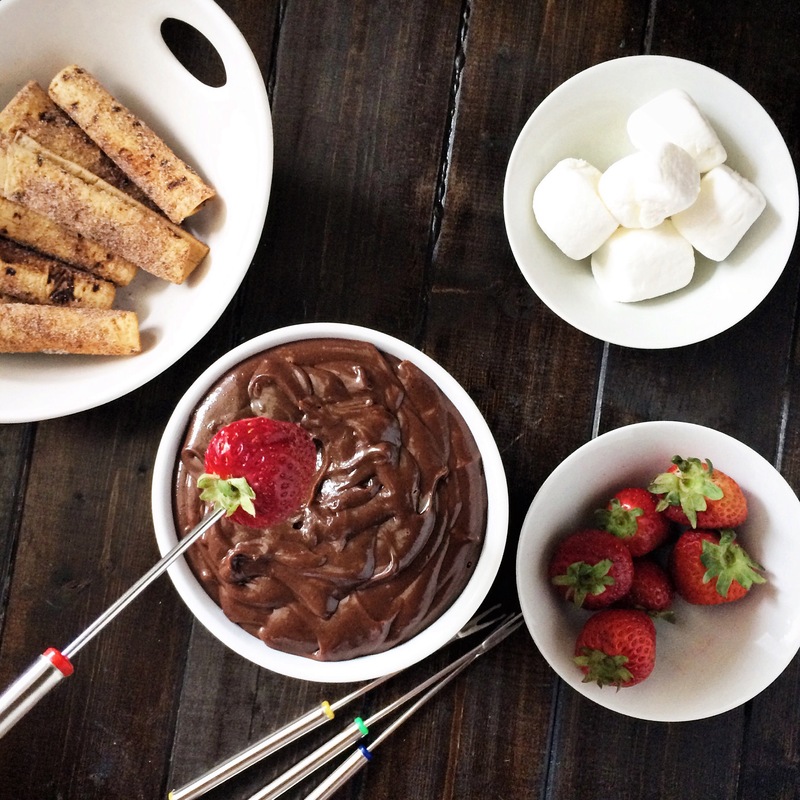 Of course I used some favorites to go with the fondue – marshmallows and strawberries. But I wanted something a little more to dunk in it. I picked up more Flatout Flatbread at the store on my weekly grocery run and had a few pieces left over. 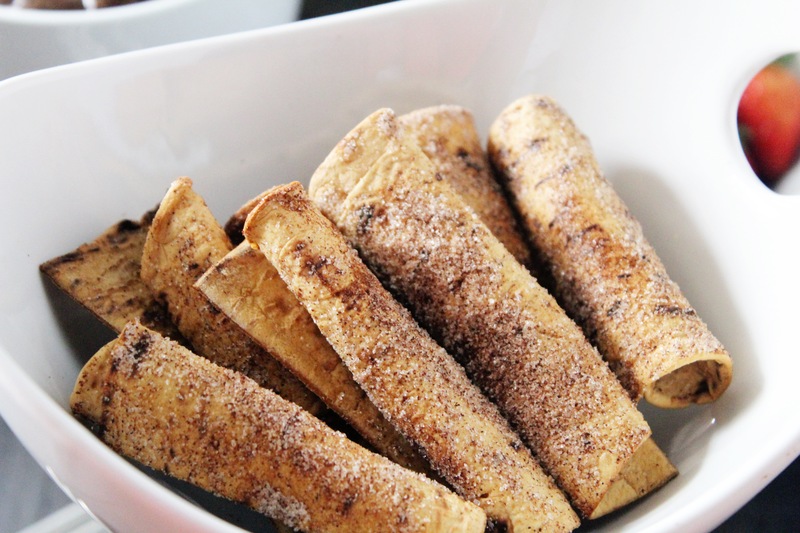 So I turned them into Cinnamon Taquitos and oh boy was that a hit. 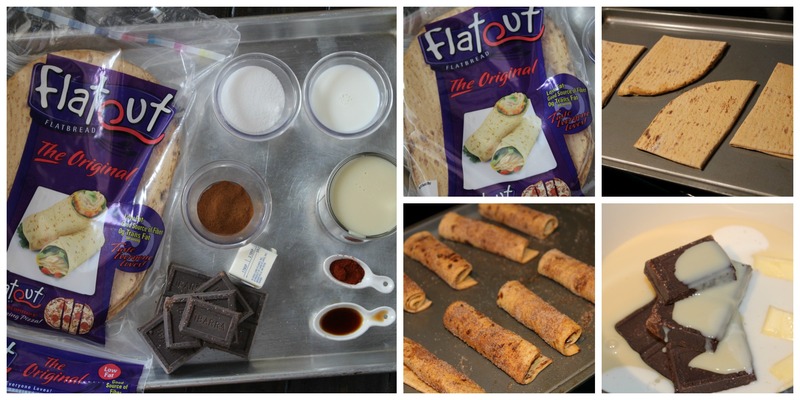 Using Flatout is my new favorite ingredient to use for any dish. It’s healthier for you, has less calories, carbs and can be used for almost anything! Pizzas, Wraps, Sandwiches, – did I mention pizzas? It’s my new obsession. 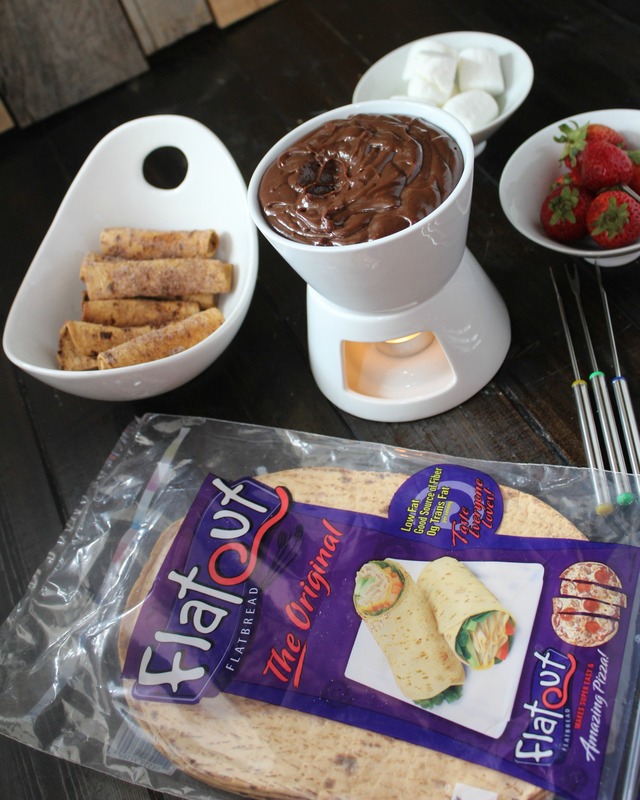 Be sure and visit the Flatout Store Locator to see where you can buy these great Flatout products. My friend Tami called this dish a little bowl full of happiness. Cut each Flatout Flatbread into 3 equal pieces then cut those 3 pieces in half. Spray each side with cooking spray. 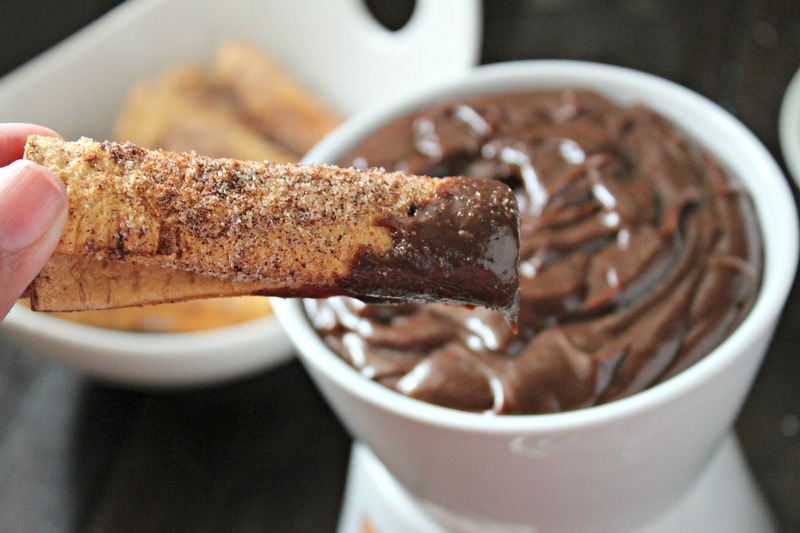 Mix together 2 Tbsp sugar with 2 tsp ground cinnamon. Sprinkle cinnamon sugar on both sides of flatbread pieces. Roll up flatbread and place on the baking sheet with seams down. 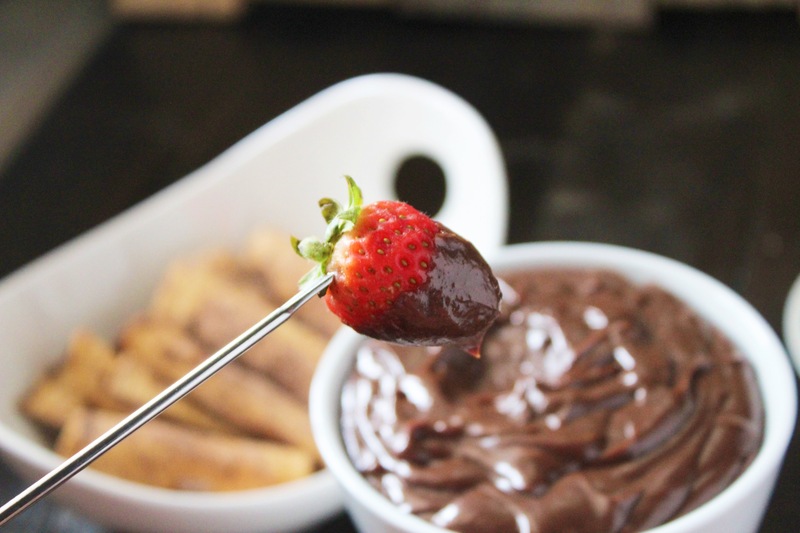 In a medium sauce pan, add chocolate, sweetened condensed milk, butter and milk. Heat over medium heat and stir together until melted. Remove from heat and whisk in vanilla, cinnamon and if using, chili powder. 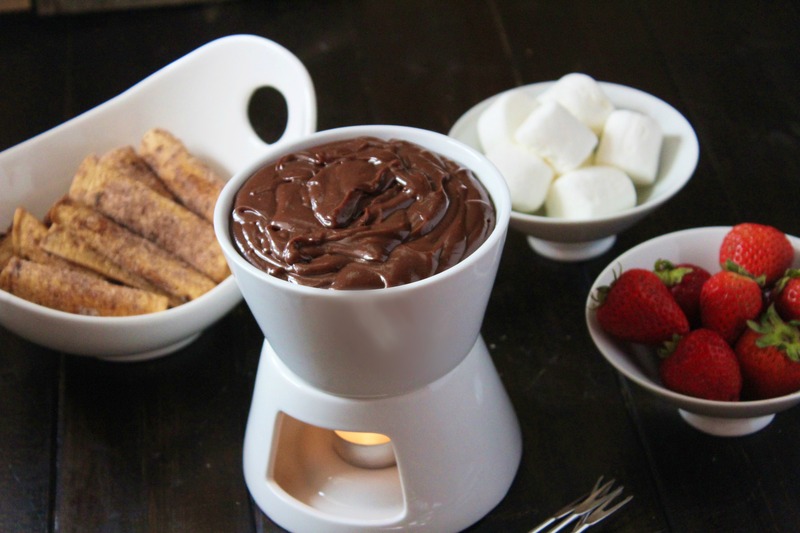 Pour chocolate into fondue pot and light tea candle to keep warm. *Please note: This makes a thick fondue. If you would like it a little more creamy, add more milk to the mixture.